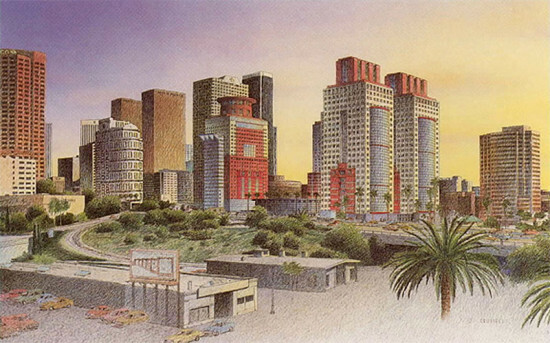 Speaking of zombies, two of Downtown LA’s most long-stalled projects appear to be rising from the dead. 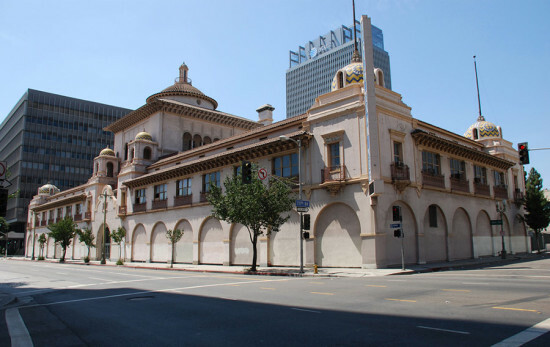 The mixed-use project revolving around Julia Morgan’s beautiful Herald Examiner Building on Broadway is apparently finally getting underway, now developed by Forest City, and no longer designed by Morphosis. The designer has yet to be revealed. Also Metropolis, a multi-building megaproject designed at one point by Michael Graves back in the 1990s, is apparently being brought back by Gensler. Of course downtown giveth and downtown taketh away. We hear that Johnson Fain, who were previously designing the Bloc development, a makeover of the former Macy’s Plaza, is no longer on the project. Studio One Eleven are now, according to a project spokesperson, “moving forward with implementation.” Johnson Fain had been “engaged to assist with the development of the concept and to oversee the schematic design phase of the Bloc.” Too bad they couldn’t finish the job.